Some readers have written to this blog inquiring the transfer of Non Claim Bonus (N.C.B.) or Non Claim Discount (N.C.D.) of one vehicle in one’s person name to another. The answer to the above is unfortunately “No”. The benefit will not be accrued or provided to the new owner. It is therefore for the insurer only. Other readers have written in to this blog to ask what happens when one makes a claim for an accident for instance. When one makes a claim for a damaged bumper for example, normally the repairs for the above mentioned item is usually done at an approved Persatuan Insurans Am Malaysia (PIAM) workshop that is approved by the insurers. This means the owner of the car making the claim will then lose or forgo the N.C.B. benefits. The following year, the insurance premiums will be calculated at full rate. There are also some who inquired of me, can the N.C.B. or N.C.D. be transferred to another vehicle? The answer is “Yes”, provided the insurer is the same person involved. There are however some readers who pose this question to this blog. They ask, if a car is insured for example for RM100,000, how much will the insurance company reimburse the insurer in case a vehicle is stolen or lost? In most instances, insurance companies will pay up to a tune of some 80 – 85% of the total amount insured. A vehicle insured for a sum of RM100,000 should therefore be able to receive an insurance claim of some RM80,000 – RM85,000 reimbursement. However, if one is not satisfied with the amount offered, one then could very well engage a lawyer or solicitor to demand for a higher amount from the insurance company involved. There have been cases whereby insurance companies have been reported to have paid mush higher claims pertaining to loss of a vehicle. Some have even paid a 100%. This article has been narrowed down to emphasizing such topics as N.C.B. or N.C.D. inter-changeable between cars which are owned by the same person. In later articles, attention will be provided to passenger liability as well as the question or insuring the front windscreen, rear windscreen and all other glass items found in a car. The question of excess liability will also be raised and explained explicitly for the benefit of those who are not too well versed wit this clause. So readers who are interested to know about the above mentioned topics, do keep in touch. Safe driving! I have involved with a traffic accident whereby i was traveling on the fast lane, and the other driver from the heavily jammed middle lane cuts into my lane and causes damages on the 2 doors on my side. Her damage was only the front right bumper. She has already put on indication light, but moving from static into fast lane seems impossible unless i make a brake which is dangerous to the other motorists behind me. so we decided to make police report and then we part our ways. upon arriving at police station, while referring to my driving license i realized it has been expired for a month. my solution is to renew it tomorrow in post office, after that make police report which is still within 24 hrs. my question is, will i still get a fine for driving with expired driving license during the cause of the accident? and will it effects the outcome of the traffic accident? Renew license before making police report. Normally, both the drivers will be given a summon each. I’m the insured owner of two cars, both currently enjoying max NCD. Question is if I make a claim on one policy / car, do I lose the NCD on the 2nd car? BTW, the two cars are insured with different insurance companies, if it makes any difference to the case. – I’ve 3 cars all currently reached 55% NCD, all registered under my name. Question is if I make a 3rd party claim on one of the cars, will it affect the NCDs of the other 2 cars? If you make a claim for one car, other cars and their NCB are not affected. Can I know is the NCD transferable between spouse, parents and children or siblings? For example, if I were a named driver for my father’s car policy, can my father’s NCD be transferred when I purchase a new car and car insurance? Thanks for ur help and hope to hear from u soon. NCD not transferable. Only for individual owner only. If i am the owner of the vehicle and want to sell of the car, can I transfer the NCD to another vehicle prior to selling off the vehicle? Secondly, if I’m the owner of the new vehicle, what is the process of transferring the NCD to the new vehicle? You can transfer your old card NCD to your new vehicle. Provide your insurance agent with an old cover note. He should be able to do the rest. My car was hit by waja during parking. If you have the other party’s registration number, you can make a police report. Then claim his insurance company. Purchased a new car under my name by trading in our old car. However the old car was registered under my dad’s name as well as the insurance. Is it still possible to transfer the NCD to the new car which is now under my name? Your dad NCD for insurance cannot be transferred to your new car. It is possible to transfer NCD from overseas back to Malaysia? Get confirmation letter for overseas insurance company. 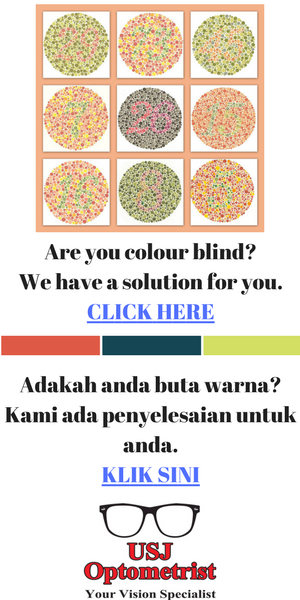 Submit to Malaysian insurance HQ in KL to try get NCD discount. I’ve just bought a new car and paid the insurance policy full. I also have a 15 year old car and pay comprehensive insurance till now. I still have my NCB for my ols car. I was told that I should have used my NCB to insure my new car. Is there anyway that I could do that now? 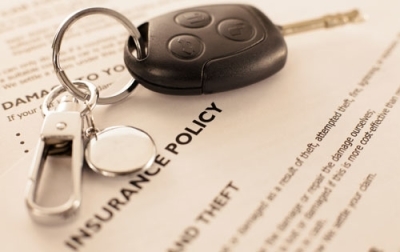 A good insurance agent should be able to readjust both your old and new vehicles’ particulars and payments. It maybe a hassle though. I have a insurance policy which will due in August, which upon renewal, will entitle 30% NCB. However, I am selling my car & buying a new car now. When I withdraw my NCB, i was told that i am currently only eligible for 25% NCB, which is right. If you have completed a year of insurance for your last policy, then you’re entitled for 30% NCB. equivalent to 8 or more years oc claim-Free driving. 4. Type of policy: Comprehensive. 5. Policy held in the name of my wife and myself. previous insufrance for my new car. Your advise is greatly appreciated. An insurance friend of mine informed me what you have related to me too. Get confirmation letter from your last insurance company in Australia. It certainly can be used in Malaysia. Be advised however, you will receive only 55% NCB unlike 75% in Australia. NCB cub can be transferred to superbike. I recently involved in an accident. After that I noticed my driving license has expired. The next day I immediately renew my license and proceed to make police report. With this, do I still entitled to claim for my car insurance? My opinion is that you should be entitled to make a claim. Your license expiring is a technical issue. I don’t think the insurance company will take up the matter. Cikgu Yap… i have i10 car NCB 45% and i want to buy new car Almera… can i have that NCB to new car? Since it different type of car… Can it be transferred? You can use you 45% NCB for your new car. I had sold my previous vehicle on AUG 2013 (38.33%). My next renewal is JAN 2014. DEC 2014, i just purchase new vehicle which mean i had stop renew for previous policy less than one year. My question is Do i still entitle for NCD ? and what is the actual percentage? Your last insurance policy did not last a full year. Therefore, in my opinion, you’ll be given the last NCD of 38 1/3% if ever the insurance company agrees. On top of that, it is probable you might be asked to compensate the insurance company for the 38 1/3 NCB the insurance company awarded you upon your last renewal. My car hit by a motorbike from left and he fell down. Sent him to hospital and was confirmed by the doctor he was fine. After few day he called and claim money from me that his leg was injurred. I didnt bordered him. However, he claims my insurance directly and it is now in investigation stage. Does this affected my NCB?? Back in 2007 , when I purchased CAR B , car sales men advised me to withdraw NCB from Car A and move it to CAR B .. which I did (happily!) . NCB for Car A become 0% , but it didn’t tear a hole in my wallet… Now , we fast forward to 2016 , I have again accumulated 55% NCB for Car A . Question , can I withdraw the NCB from Car A (again) and move to new car (CAR C ) ? since the Car A is still owned by me / policy is in my name. Your kind advise is very much appreciated , as the insurance cost with 0% NCB on CAR C will most certainly burn my wallet (literally).